Last week I attended Tableau Conference 2014 in the company's hometown of Seattle. In between attending a standing-ovation-worthy talk by Neil deGrasse Tyson, listening to Michael Lewis discuss data and Moneyball, and watching a Sir Mix-a-Lot concert from the top of the Space Needle, I also found time to get the latest on Tableau's products, customers, and initiatives. CEO and co-founder Christian Chabot kicked things off in front of a crowd of over 5,500 customers and partners. The theme of the opening keynote was "The Art of Analytics." Mr. Chabot likened an analyst's design process for data visualization to the creative process of an artist with a blank canvas or a sculptor with a slab or marble. Visualization software, he drove home, should "unleash the creative power of data" and has the power to "remove the drudgery" of analysis. Co-founder and Chief Development Officer Dr. Chris Stolte then took the stage to demonstrate the new ways Tableau users can interact with their data. Dr. Stolte's presentation on creative analysis through spontaneous interaction with data supports Aberdeen's claim that the age of "look, but don't touch" is over. VP of Product Marketing Ellie Fields expressed a sentiment in her presentation that struck a chord with me. She highlighted the importance of a partnership between IT and the line of business for successful analytics. She said that broad and sustainable analytical adoption cannot be achieved if the two sides are "at war" or "there is no champion" for fresh initiatives. Collaborative Data Governance: Peeling the Red Tape off Data Discovery examines organizations that have demonstrated a strong IT-business relationship and showcases their superior analytical performance. Whether improving data governance or introducing new visualization capabilities, IT and the line of business need a healthy relationship with open lines of communication for both to achieve their goals. 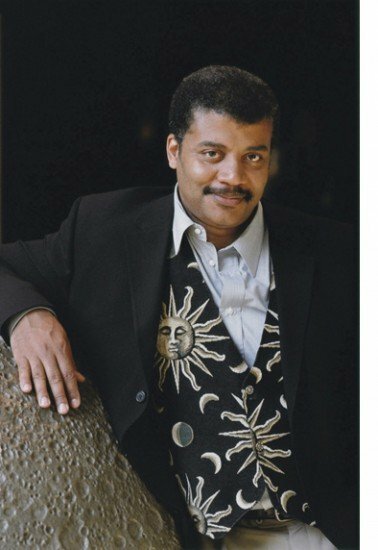 In the opening keynote of the second full day, Dr. Tyson emphasized how vital data is to science, but also stressed the importance of perspective. He cited the example of the "supermoon" (when the moon is full and closer to Earth than normal, offering supposedly more spectacular views). Major media outlets have hyped these lunar events. However, supermoons appear a mere fraction of a percent larger than normal full moons, a difference that is completely imperceptible to the naked eye. Dr. Tyson stressed the importance of using language that matches what the numbers are really saying. 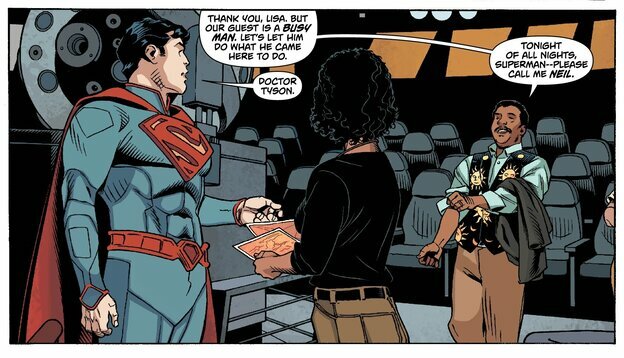 I'd like to take this opportunity to congratulate Dr. Tyson on his collaboration with Superman and applaud his impeccable taste in vests. Tableau's storytelling feature was a particular point of emphasis throughout the conference. The feature enables users to organize their visualizations and add captions to create a data narrative. This empowers users to buttress beautiful visualizations with structure and context to convey complete insights from the data. Aberdeen's recent report, The Modern Data Analyst: Generating Insight at the Line of Business explores the best practices of top analysts sharing data and insights on the front lines. Even the most gung-ho Tableau nut wouldn't claim that the storytelling feature is an overnight PowerPoint killer, but it was a refreshing alternative. The theme of storytelling took center stage as Executive VP of Sales Kelly Wright sat down with Mr. Lewis to discuss how he picks his subjects and produces such compelling narratives. In fairly strong language, he chastised storytellers who thrust unnecessary complexity on their audience. No matter how much analysts love all their data (and based on my conversations with various end users, they love it a lot), they must boil down their final findings to the essentials. Extraneous information and showy flourishes muddle the story, and audiences rightfully have no patience for indirect authors. I am working to avoid these pitfalls in my own work (breaking up with $10 words is hard to do). Leaving his own audience with something to look forward to, Mr. Lewis mentioned separatist regions (Scotland and Quebec among them) as a potential topic for his next book. I'd like to thank everyone at Tableau for having me, especially Adriana Gil Miner and Jingcong Zhao, and I look forward to hearing what's next for the company. Peter Krensky is a Research Analyst in Aberdeen's Analytics & Business Intelligence (BI) practice. At Aberdeen, Peter produces data-driven research to reveal the business benefits of various technology solutions. This research identifies industry best practices for technology implementations that lead to top performance. Peter's research topics include data visualization, big data, real-time analytics, predictive analytics, self-service BI, and cloud/SaaS BI, as well as role-based and industry-specific applications of analytics.